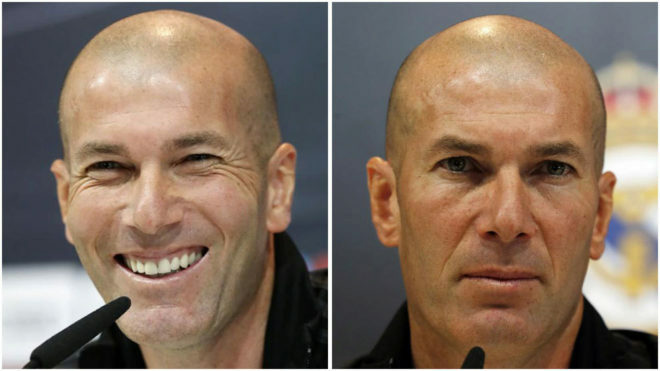 If the eyes are the mirror of the soul, Zinedine Zidane’s lack of a smile clearly reflects the current situation at Real Madrid; ‘Happy Zidane’ has gone for good it seems. In the press room in Valdebebas where (not long ago) laughter was heard, now only serious faces and curt answers are the order of the day. A tense and cutting silence has taken over and Zizou no longer makes jokes with the journalists. His grimace is coupled with closed and tight lips that only open to make it clear that the good vibes are over, and where his answers are filled with “you” accompanied by a pointing finger. .
“I’m tired of hearing that we’re doing things wrong,” was the message of Zidane’s press conference prior to the match against Villarreal; an appearance in which he insisted on blaming the media for the ‘negativity’ surrounding Real Madrid. “The easy thing is to say that everything is wrong from the position of the press and you know that it is not like that. The whistles heard at the Estadio Santiago Bernabeu, the criticism of supporters and press and Real’s bad moment – 16 points behind Barcelona in the league – have affected Zidane. “I am annoyed by the comments you make about the fact that I am hurting the club,” the French coach said. Poor appearance after poor appearance is clearly increasing the distance between Zidane and journalists. These are not just bad times on the bench for Zidane but also in the press room.